He may be the Samajwadi Party patriarch, but he’s been irrelevant in UP politics since 2017. On 1 January 2017, just five weeks before the Uttar Pradesh assembly election began, Akhilesh Yadav appointed himself the national president of the Samajwadi Party. This was a brazen coup, overthrowing the sitting party president, who happened to be his own father as well as the founder of the Samajwadi Party, Mulayam Singh Yadav. For an act of such daring, Akhilesh Yadav hasn’t said a single derogatory word against his father. Akhilesh’s words have consistently shown respect towards his father, when his actions have been anything but respectful. As a result, both sides went to the Election Commission of India. Mulayam’s side was supported by his brother Shivpal Yadav and their best friend Amar Singh. Akhilesh Yadav’s cause was waged by Ram Gopal Yadav. It was a moment of reckoning for all senior leaders of the Samajwadi Party (SP) across Uttar Pradesh. They had to make a difficult choice. Many of them had been sitting on the fence, but that was no longer possible. The sitting MLAs and MPs were particularly important, as their choice would help the Election Commission determine which side gets the party symbol, the cycle. It was no contest. Only a handful of party leaders, MLAs and MPs stood by Mulayam and Shivpal. People who had owed their entire political careers to Mulayam and Shivpal ditched them. All that talk about Shivpal’s hold over the party organisation came to nought. Veterans like Azam Khan, who never trusted Akhilesh and vice-versa, fell in line as well. When on 16 January the cycle symbol was allotted to the Akhilesh camp, it was the end of Mulayam Singh Yadav’s political career more than Shivpal’s. The uncle, at least, still has some nuisance value. The autumn of Mulayam Singh Yadav’s career became more like L.K. Advani’s. Who are the people with? Akhilesh Yadav was the chief minister of UP from March 2012 to March 2017. Between 2012 and 2014, Mulayam and Akhilesh were running the government. In fact, many at that time had said UP had four-and-a-half CMs — Mulayam, Shivpal Yadav, Ram Gopal Yadav and Azam Khan being the big four and Akhilesh being the half. After the Modi wave of 2014, Akhilesh Yadav realised that his future was at stake. As he began to take control of things, Shivpal and Mulayam felt sidelined. Akhilesh was their kid. They hadn’t expected such rebellion. But children do rebel when the elders can’t let go. When the time came for the SP legislators and workers to choose, they knew it had to be Akhilesh, because public sentiment was with Akhilesh and not his father or uncle. The father and uncle suffered from a poor image of corruption and crime. Akhilesh was the innocent boy trying to break free. And break free he did. Mulayam Singh Yadav is thus a non-issue in Uttar Pradesh politics today, difficult as it may be to believe. Except perhaps for the constituency of Firozabad, Shivpal Yadav has no ability to damage the SP anywhere. This is only one reason why Mulayam Singh Yadav’s endorsement of Narendra Modi for a second term as prime minister will have no impact. Another reason is that Mulayam Singh Yadav has been known to make controversial statements and U-turns all through his career. He likes to give conflicting signals and keep people waiting till the end. And in the end, he often does the opposite of what he’d been hinting at. He has already denied that he was endorsing Modi. The Samajwadi Party says ‘Netaji’ was only wishing all his fellow MPs well at the end of the term, like an elder statesman, just like he had done in the previous Lok Sabha. His brother Shivpal Yadav finally launched his own party in October last year. Mulayam Singh Yadav agreed to attend the inaugural rally of the Pragatisheel Samajwadi Party-Lohia in December, embarrassing his son Akhilesh. But at the event, Mulayam went on to seek votes for the Samajwadi Party instead of the new party! People who have interacted with Mulayam Singh Yadav over the last three-four years have noticed that old age has been catching up. He suffers from short-term memory loss, they say. At a lawyer’s chamber in Delhi, he met a young politician for the first time and said, “You never came again to see me”. He meets people and talks about his political life, vividly remembering old details, but then he’ll call them over again the next day and repeat the same stories. This condition of ‘Netaji’ has allowed both camps – Akhilesh and Shivpal – to suggest that Netaji is being manipulated by the other camp. 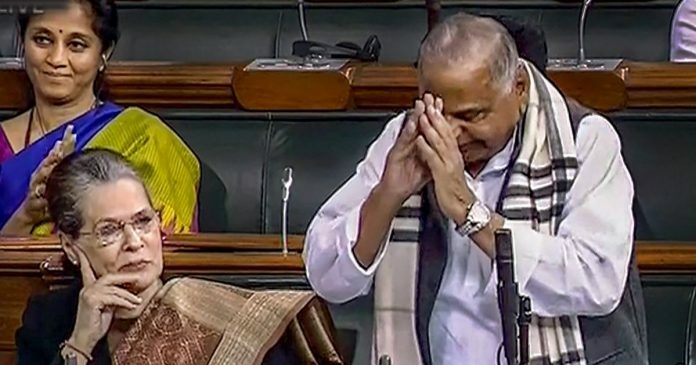 Chances are that yesterday’s inexplicable endorsement of Modi was only the first in a series of headlines Mulayam Singh Yadav, 79, will make this election season. Mulayam is important for the people of UP, and definitely what he said yesterday will have far reaching impact. Those, who have not taken a lesson from the decimation in last election, will ignore him at their peril this time also.